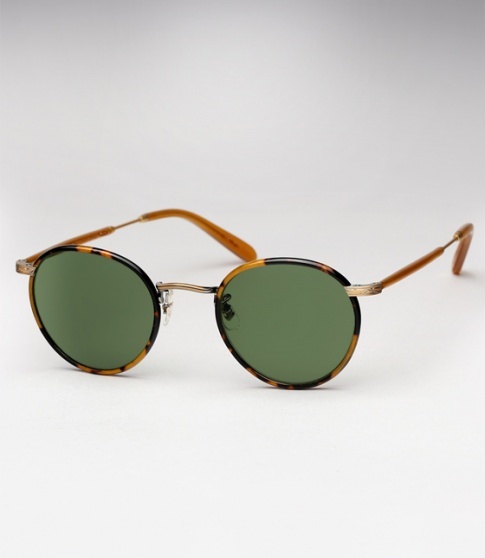 Garrett Leight Wilson - Tokyo Tortoise Need Help? Keeping true to the original British classic design which inspired the frame, the Garrett Leight Wilson features authentic acetate Windsor rims, detailed metal filigree, mixed antiqued metal, and mineral glass lenses. It is offered here with a "Tokyo Tortoise" front and "Amber Honey" temples paired with "Pure Green" glass lenses.